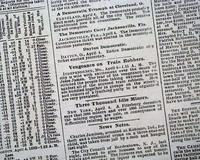 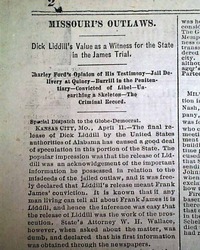 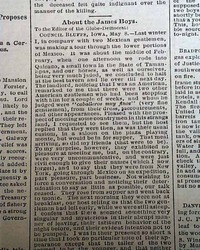 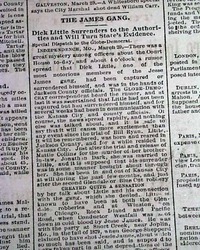 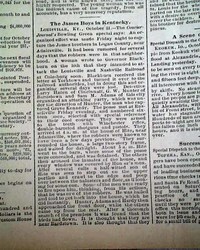 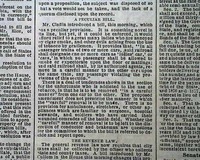 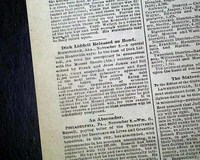 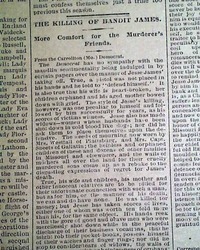 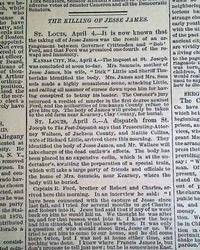 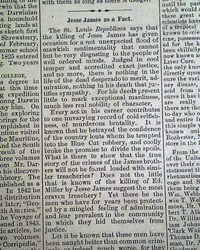 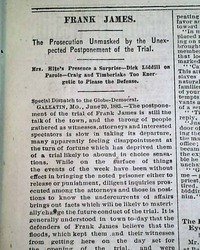 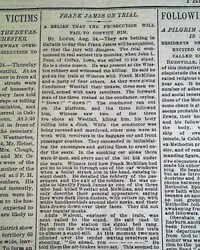 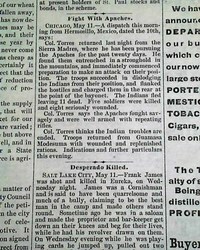 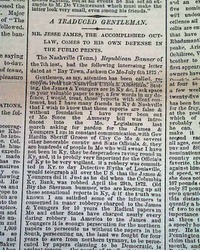 ST. LOUIS GLOBE-DEMOCRAT, Oct. 2, 1875 Page 3 has most of a column taken up with: "Were They The James Boys? 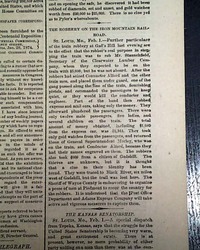 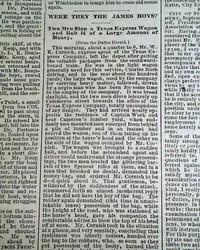 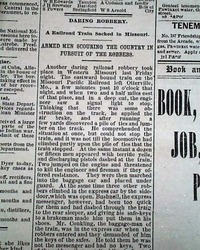 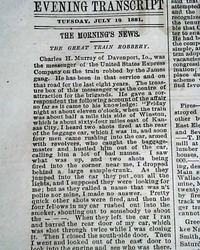 "Two Men Stop a Texas Express Wagon & Rob It of a Large Amount of Money". 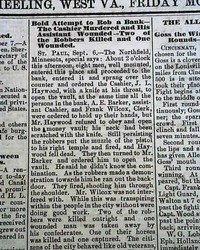 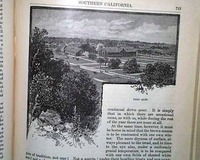 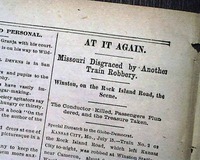 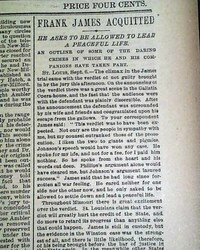 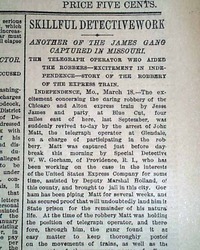 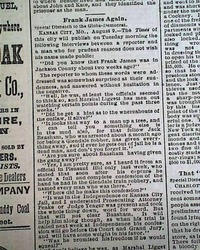 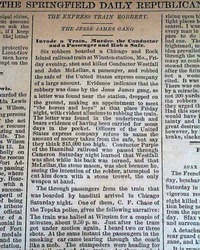 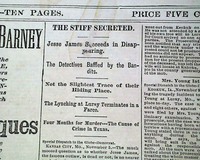 The article is very detailed and is a terrific account of a stage coach robbery (see), but this robbery was apparently not the work of Jesse & Frank James. 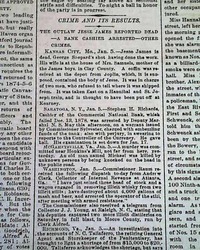 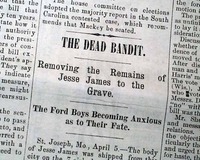 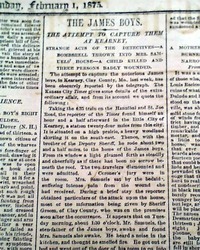 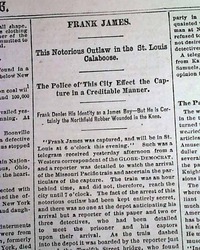 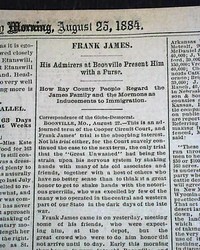 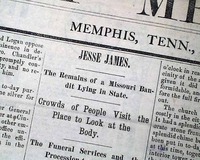 Jesse & Frank James captured ? 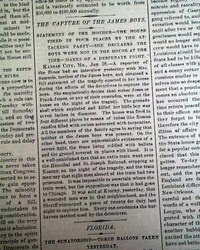 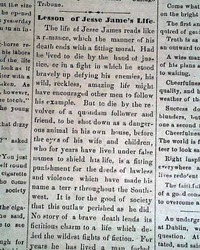 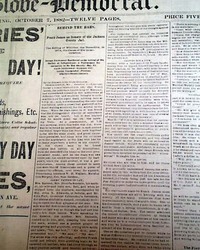 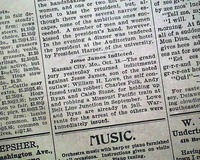 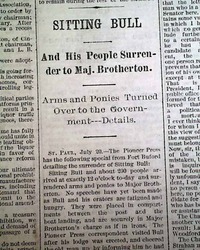 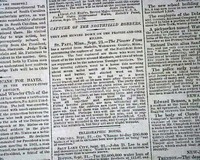 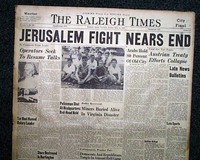 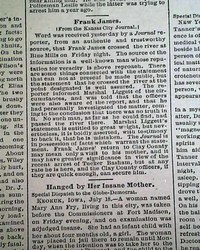 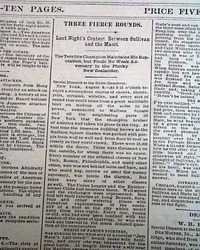 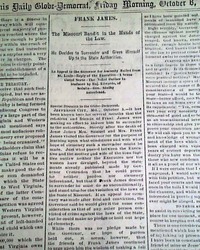 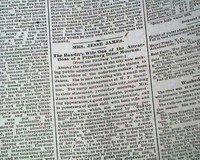 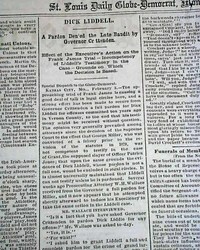 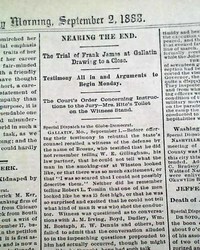 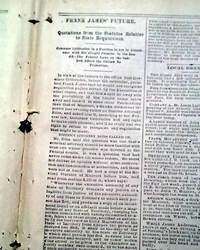 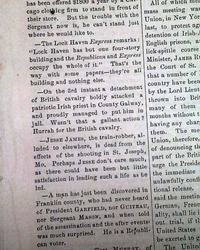 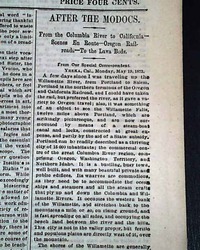 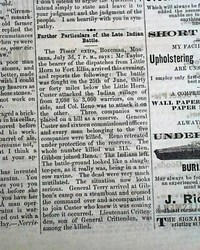 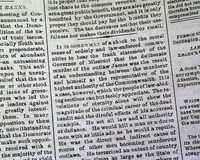 The front page has an interesting--yet false--report headed: "The Capture of The James Boys" which has various subheads including: "Statement of The Mother...She Declares the Boys Were Not in the House at the Time--Marks of A Desperate Fight" (see).